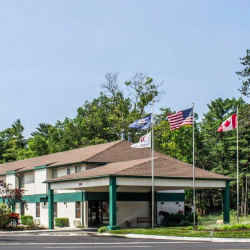 When it comes to lodging options, there’s a lot to be said for seeking out a trusted, familiar name...one with a reputation for clean, comfortable rooms at an affordable rate and one with a commitment to friendly service and thoughtful amenities. In other words, you’re looking for a place like Quality Inn By the Bay. 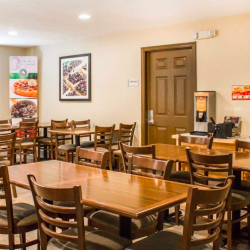 “Guests really appreciate that we’re close by and offer all the modern conveniences,” shares Owner Jay Patel. 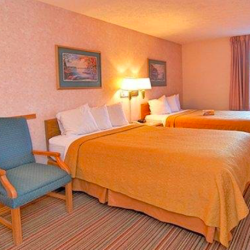 Located just minutes from downtown, Quality Inn By the Bay recently underwent a renovation that includes a host of updates including premium bedding and new furniture, which give each room a modern feel and new paint colors, which add a fresh, appealing look. Additionally, every room includes the essentials, including free Wi-Fi, a microwave, refrigerator, flat screen TV, and more. At Quality Inn By the Bay, guests can start with a hearty, hot breakfast….the perfect way to fuel a day exploring Traverse City. From here, they have a wide variety of options, from biking the nearby trails, soaking up the sun on one of the many public beaches, wine touring, golfing, casino games…the list goes on. At the end of the day, guests can enjoy a little R&R in the indoor, heated pool and hot tub.